A Bavarian kniebund lederhosen made by Germans who used to do hard physical work. 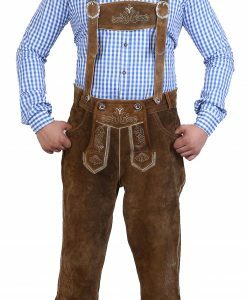 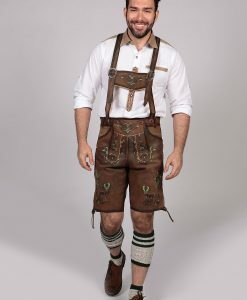 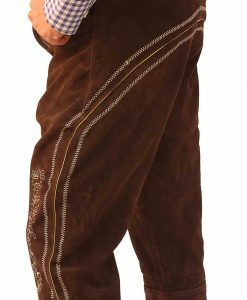 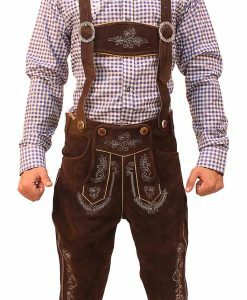 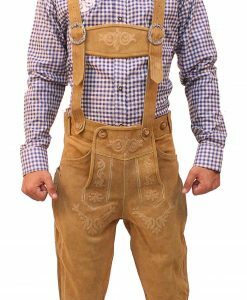 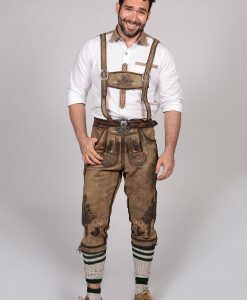 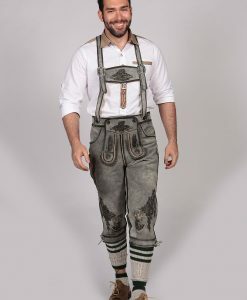 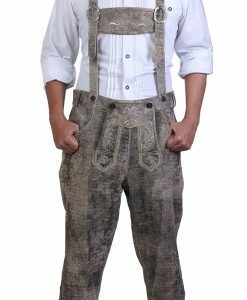 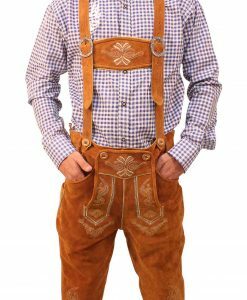 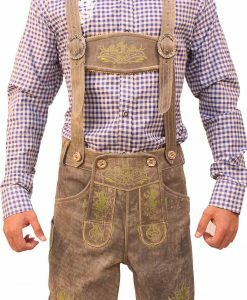 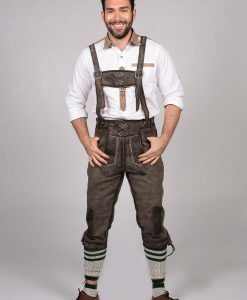 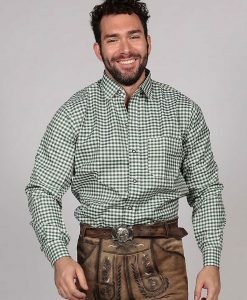 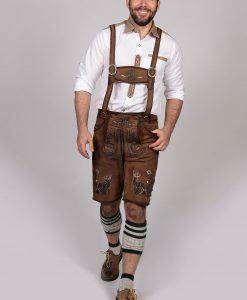 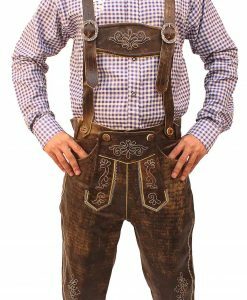 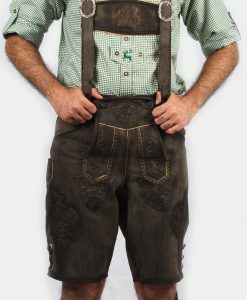 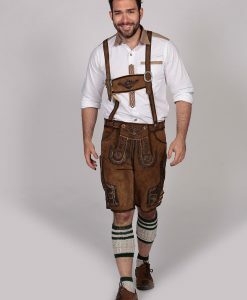 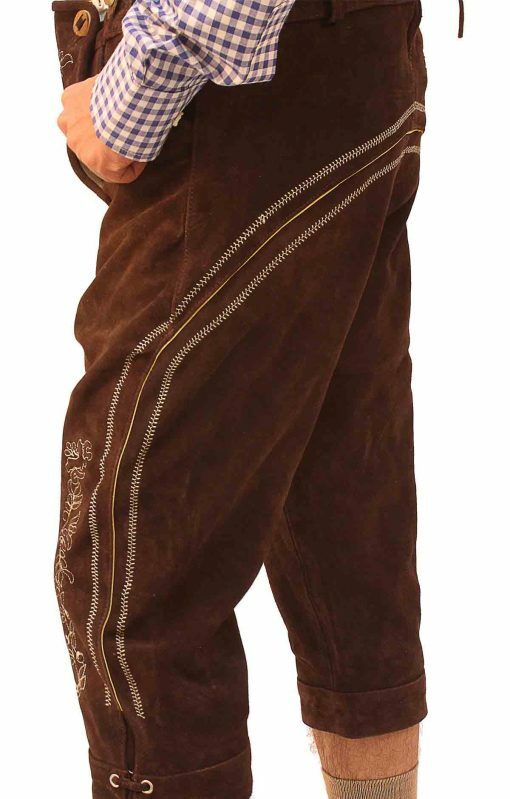 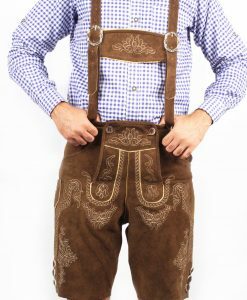 This knee low lederhosen is made of fine suede leather that is well known for its quality. 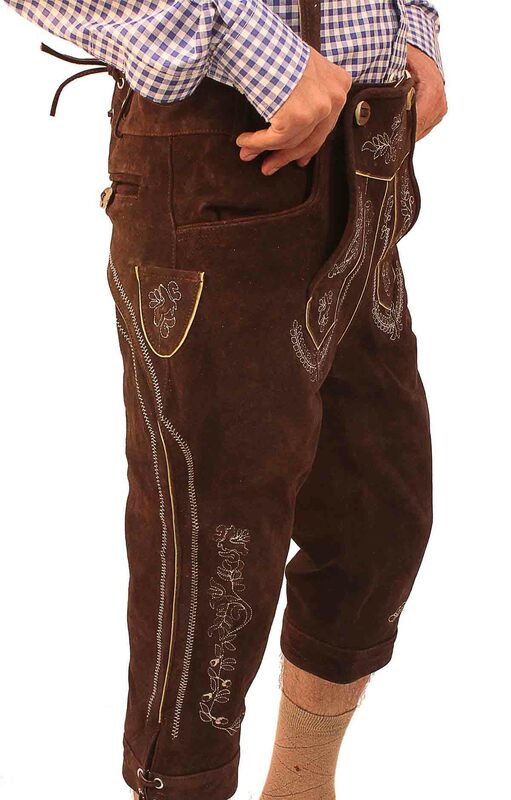 Includes suspenders and buckles, to adjust your size and silver embroidery across it. 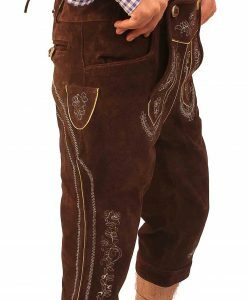 The fabric has a neat embossed embroidery that is vividly prominent on the flap and pockets. 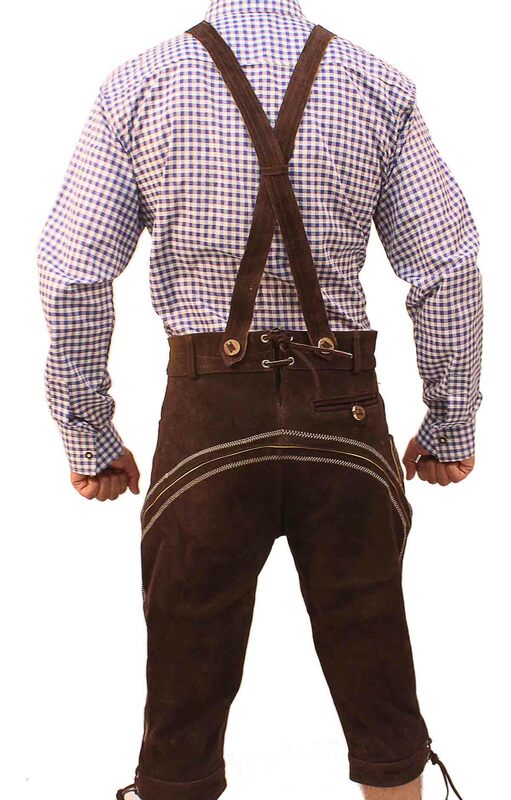 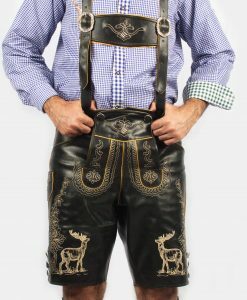 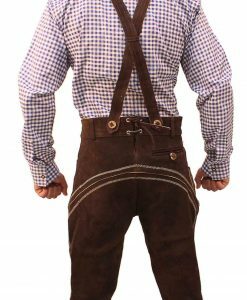 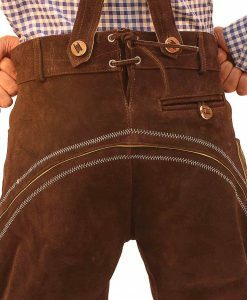 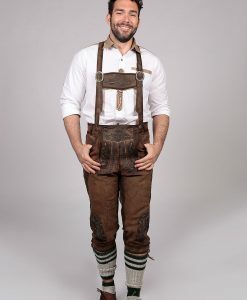 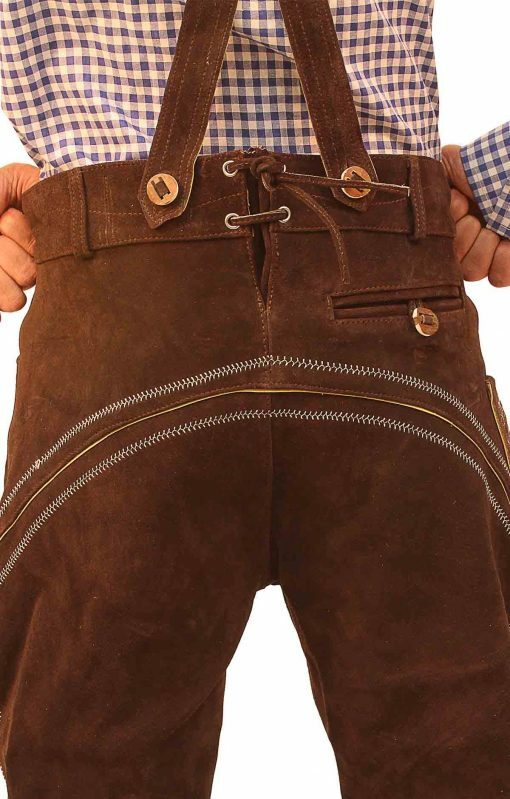 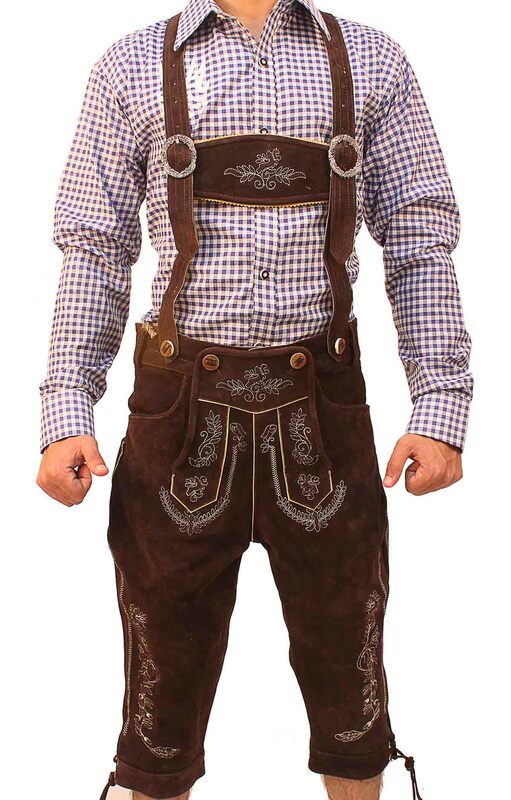 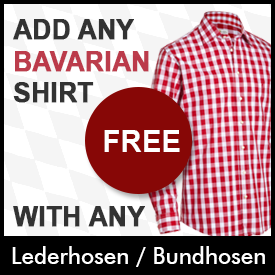 We provide with Seppl lederhosen that are leather trousers stretching below the knee. 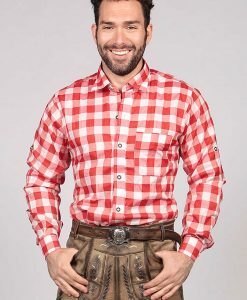 Add a perfect matching trachten shirt with a checkered blue pattern. 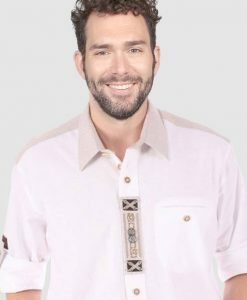 The cotton shirts will help you beat the heat and be vibrant and sharp in every picture taken.